The first characteristic I notice is the color, which is dark amber. Its a richer color than any of the previous whiskys, excepting the bourbon. Even through the alcohol burn of the high proof, I can tell that the nose is rich with a sweet and mildly smoky aroma. I’m going for the water right away. Now, that’s better! 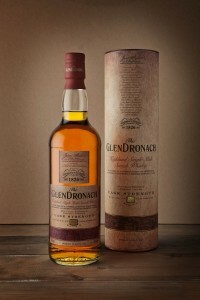 The nose is rich with smoke and peat, but its not strong. The toffee, honey and vanilla blend to add a sweetness that adds to the richness and a gentle ginger element completes the story. The taste is immediately fruity and tangy along with the candy sweetness. The ginger is in perfect balance with the sweetness, while the flavors of orange, vanilla, toffee and the bitter woods dance around in my mouth. This is fantastic stuff. A mild peppery and woody aftertaste is complemented by a slightly salty tanginess. I do believe that this is the best whisky I’ve had since the Glenfarclas Family Cask Release on the first night. I might have to get a bottle of this one. 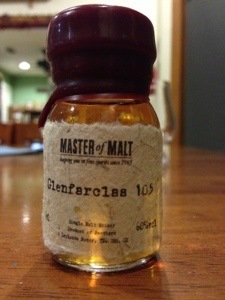 Glenfarclas 105 is a superb cask strength whisky, really bold and punchy. In 2004, the Malt Maniacs rated this the best “Bang for your buck” whisky. Posted in Whiskey. 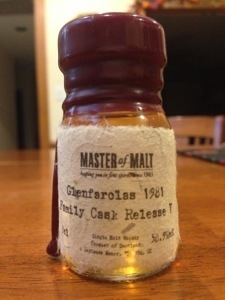 Tagged Glenfarclas, Single Malt, Speyside. On the nose, lightly peaty with orange, vanilla, butterscotch and honey. I taste the butterscotch and honey along with a bit of smoke. The peaty smoke is more noticeable as I continue to sip, then gives way to a lingering light smoke with a sweet alcohol burn that lasts for a good minute or so. It’s got a light oily feel to it and needs a bit of water. Adding very little water releases a smoky aroma and reduces the burn considerably. The sweetness remains and is joined by bitter orange and white pepper, while the oiliness is greatly reduced. Still, the smoky aftertaste lingers even longer and coats my mouth. This is my first real experience with a peated Scotch and I have to admit that I’ve really enjoyed it. I’ve had very few Scotch whiskies, but this has got to be the best one by a significant margin. I’m looking forward to the next 23 days. 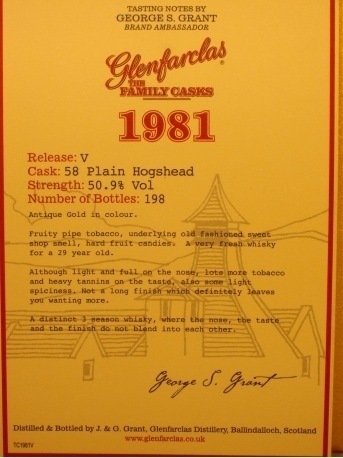 The fifth release of Glenfarclas 1981, this whisky was aged in a single plain hogshead (cask 58), and it was bottled at natural cask strength in 2010. 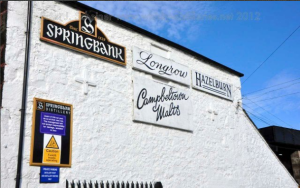 It marks a change from many of the family casks as it’s bottled from a plain cask, and not a sherry cask.